There was quite a buzz around this album's release, probably because most of the band members are already veterans of the modern Italian prog scene through their work in Ske, Yugen and La Coscienza di Zeno. Their plan with this project was to produce an accessible style of music, different from their normal currency, and one that places a greater emphasis on songwriting as opposed to experimentation. Another distinction is that the vocals are all in English, but even before singer Alessio Calandriello's opening gambit it's clear that the net has been cast wider than Italy with this release. The guys behind Not A Good Sign have pinpointed the music of the seventies and King Crimson as major sources of inspiration, however on this evidence they also appear to have taken careful notice of happenings in Scandinavia during the nineties. The end product certainly marks a boundary with the more experimental work of Yugen but, still, they've managed to create a nicely balanced mix of prog and straightforward hard rock. 'Making Stills' hinges on Botta's electric piano although guitarist Zago also manages to put his mark on this keyboards-stained track with a sweetly weeping refrain that gets taken up firstly by synth and then Mellotron-flute. The electric piano plays its pivotal role by closing this section and introducing the next, jazzed up and backed up by clavinet, Hammond organ and synth. The closing section starts mysteriously before building to a majestic choral climax and it's about as close as Not A Good Sign get to capturing the sound of Genesis. Quite close, actually. The title of 'Witchcraft by a Picture' may well conjure up vivid impressions, demonic images, a whiff of a Black Widow disposition perhaps. And sure enough, the intro is bogged down in a doomy riff with subterranean Hammond and guitar vibrations sending shivers up through the earth. But then the piece enters a different, dusky dimension through Sharron Fortnam's enchanting, wispy vocal. With sensitive accompaniment on acoustic guitar and glockenspiel, this is the band's setting for a sonnet by the 17th Century metaphysical poet John Donne and was written specifically with the North Sea Radio Orchestra singer in mind. In fact the band is supported on selected tracks by a small but discerning group of guest musicians, including Sharron, and they all feature on this one. There is significant input from cellist Bianca Fervidi and pianist Maurizio Fasoli on this song but the rhythm section is also an important part of the equation here, laying down a seemingly incongruous trip hoppin' rhythm under a gently rising cello line. Wonderful stuff, really! For me, the album turns on this and the preceding track and together they occupy the emotional heart of the album. They also demonstrate how the band is able to adjust a seventies-style accordingly for a modern audience. 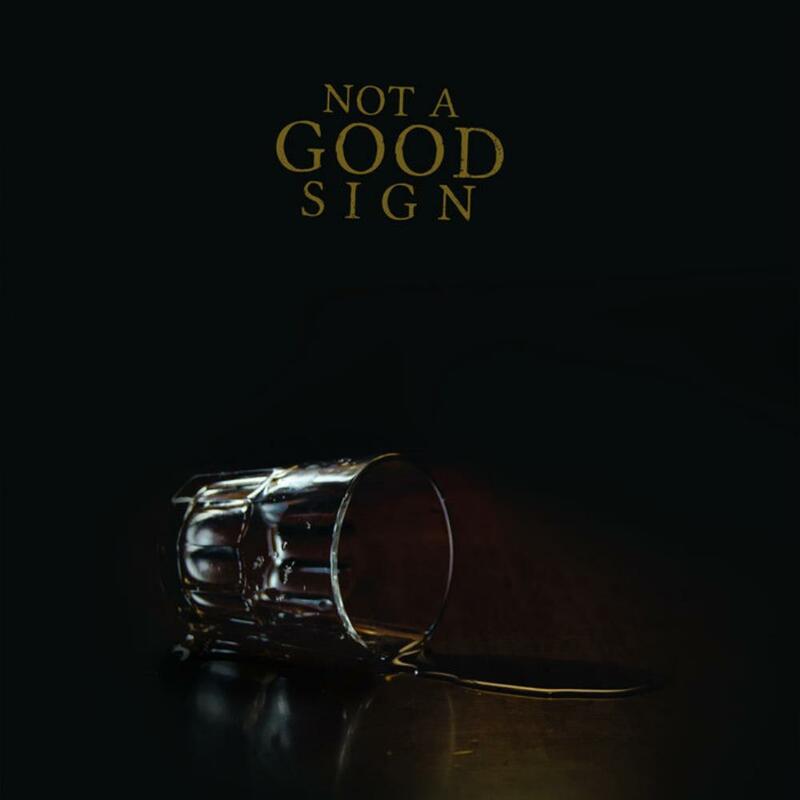 'Not A Good Sign' is guaranteed to be in the front rank of new releases under the Italian prog banner this year, no mean feat considering the number and quality of fine releases to emerge from the country recently. Don't miss it.